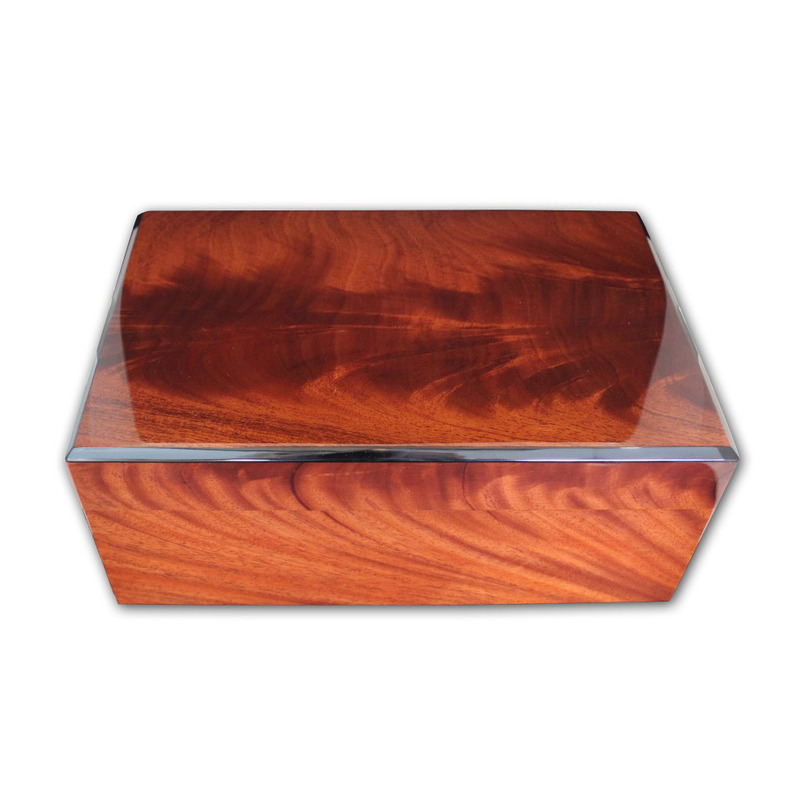 A beautiful hand made Gentili humidor with a 50 cigar capacity, a truly magnificent humidor to store your cigars in style at a great price. Gentili Fabrizio Str, the manufacturer of Gentili humidors, certifies the artisanal Creation of each single box, entirely handmade with painstaking attention by its master cabinet makers. 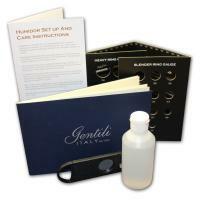 All Gentili products are unique and unmistakable in design and are made using the most valuable and exclusive materials. 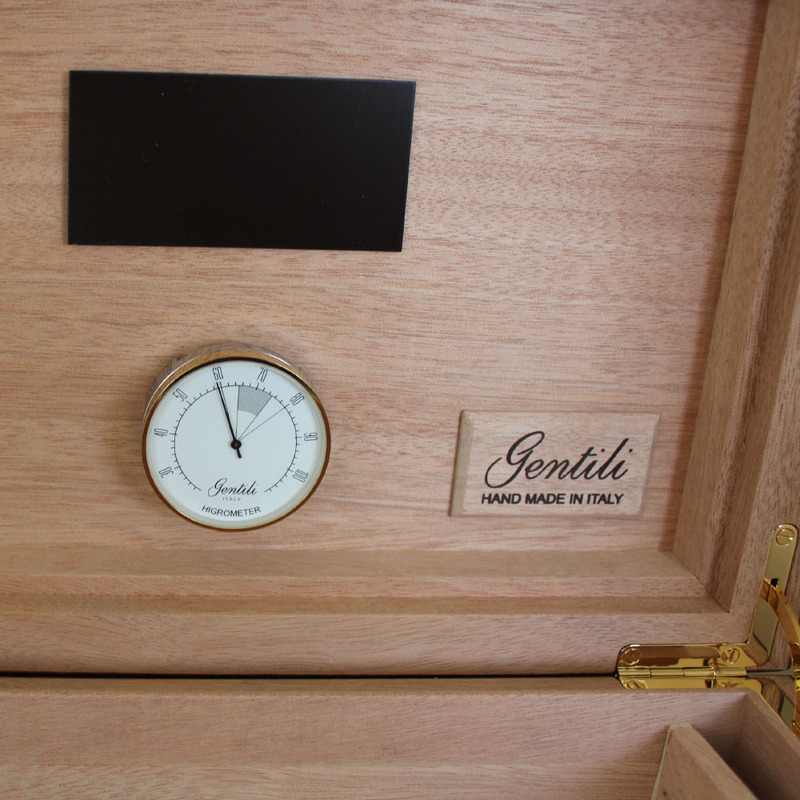 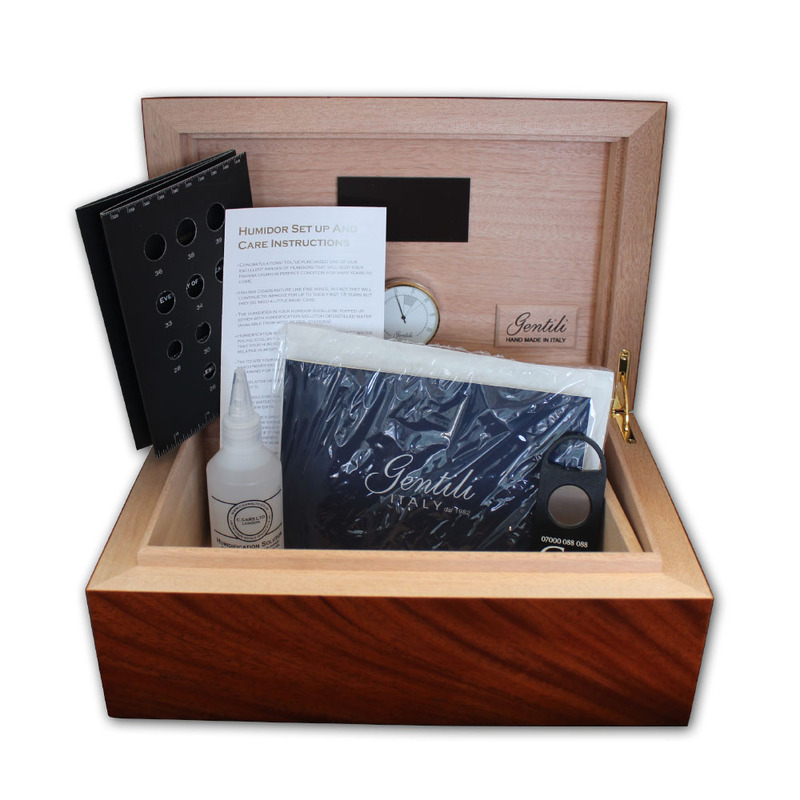 Gentili humidors are made solely in Italy.